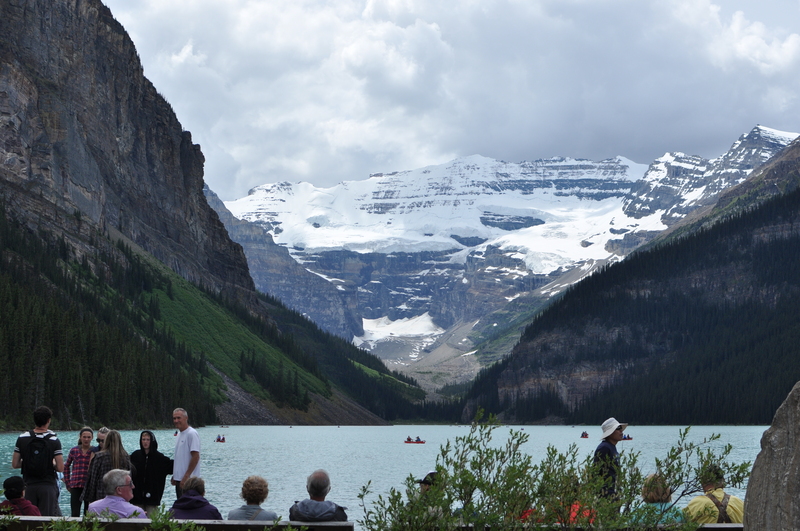 With colleague-friends visiting from out of town, the professor deemed Wednesday the day for the requisite out-of-towner trip to Lake Louise. Future visiting colleague-friends beware: if you are in town for more than 48 hours, the professor will insist on taking you to what is, admittedly, one of the finer sights in all of nature. Don’t like nature? Don’t care. Buckle up, we’re going to Lake Louise! To that end, I recently emailed the Consulate after realizing their estimated ‘2-3 weeks before you get your new passports’ had come and gone. If you’re an American living abroad and you’re thinking of getting in touch with your nearest Consulate, here’s something you should know. 1. Have you died? Or has one of your fellow Americans died? 2. Has your passport been lost or stolen? If you cannot answer yes to either of the above questions, the Consulate doesn’t care. I called the only phone number I could find which basically gave some automated options with the same underlying message: We are really busy. Even if you manage to hit a lucky configuration of numbers and are somehow able to connect to a voice that belongs to an actual human being……they will not be able to help you. Thanks for your patience. Your cooperation is appreciated. A world-wide hold up! How lucky. I guess this really might be the year that we cross the border with one child and two enormous piles of blankets in the car. Back to the test-run. Shortly before noon, which is our preferred leaving time no matter the length of the trip, we climbed into the van with a giant cooler filled with sandwiches, cookies, fruit, yogurt, string cheese and water bottles. ‘That’s a lot of food,’ our visitor-friend remarked with big eyes. And I had to explain about the Johnson way of consuming food for at least 50% of the time the car is moving during a roadtrip. Apparently not everyone resorts to emotional overeating to lessen their despair at being trapped in a car with four other people? Eventually we made it to Lake Louise. Along with approximately one thousand other tourists. Walking along the lake with our friends’ young children, I couldn’t help but recall the time we hiked up to the (wrong) teahouse in cold September rain with a barely 1 and 3 year old and a very large jogging stroller. It will live on in infamy as possibly the worst family adventure ever. Which is precisely why we still remember it. Ten minutes in, the professor and his friend disappeared ‘to go get coffee’. The women were left to continue around the lake at a snail’s pace, smoothing over arguments about who got to push the stroller and for how long. It felt like a very long time before the men returned. Without any coffee. ‘They only had a restaurant where you could sit down,’ they explained. Even though I had seen people on the trail walking with disposable cups filled with hot beverages. Shortly afterwards, possibly lured by the siren call of a cappuccino at a white-cloth-covered table with a stunning view, the professor’s friend remembered he is a city boy at heart and returned to the Chateau with a boy-child in tow. The three remaining adults trudged on with the remaining four children, destination unknown or at least unspecified. At some point the Gort grew weary of the walk and the semi-heat (20 degrees Celsius is challenging for our heat-averse, alabaster-complected child) and sat down on a wooden bench. ‘We’ll be back,’ I assumed-guessed and told him to stay put while we slumped on. It was around this time that I clued in our sole purpose for the extended walk was to find ‘tiny rocks’ for young Percy to throw into the lake. Eventually, at the end of the paved part of the trail, we settled for clay-sand and a few large rocks. And overly tame prairie dog slash chipmunk creatures. And then we walked all the way back to find our nature-averse friend who’d surely had ten very expensive cappuccinos by that point. Three or four hours after we’d arrived, we returned to the parking lot, a feeling of ‘done-ness’ permeating all members of our traveling party. 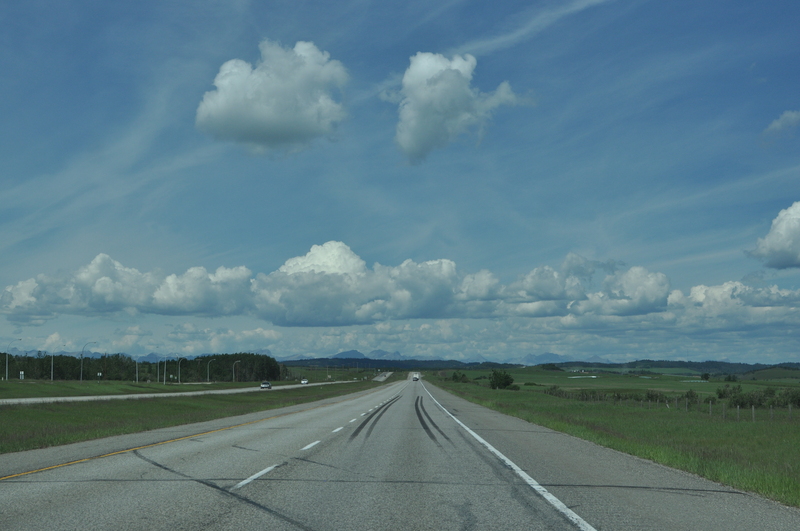 We began our return to Calgary, via the scenic Bow Valley Trail – because the professor loves nothing more than driving 60 kmph along tree-lined roads – and a dinner stop in Canmore. 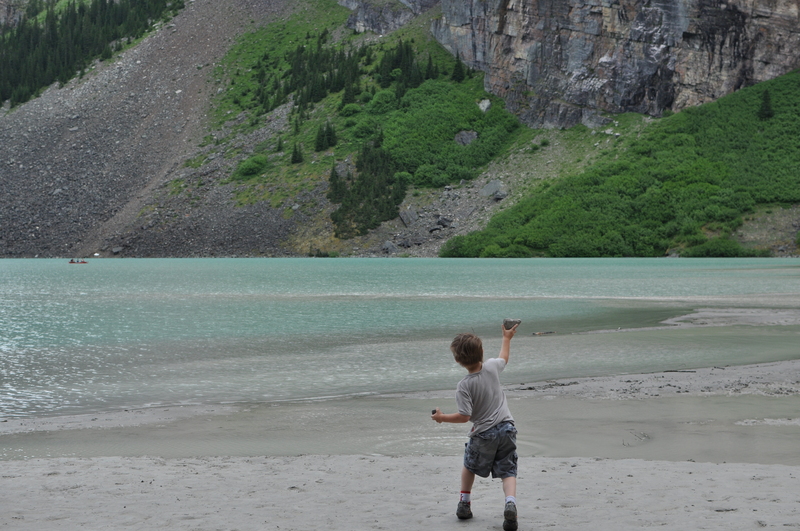 It was exceedingly late by the time we left Canmore and the boys all had school the next day. Fatigue-laced tension reached breaking point in the back of the van where a certain five and seven year old fought over whose stuffed animals had crossed the invisible line that siblings have been fighting over since vehicles were invented. ‘Keep your stuffies on your laps,’ the fed-up professor finally bellowed and I barely suppressed a smile at the ridiculousness of this particular edict. Shortly after ‘the fight’ Bon Jovi’s ‘You Give Love a Bad Name’ appeared on the radio and we were able to practice roadtrip theme song protocol, which basically involves turning up the volume (for one song only) and singing with a fake microphone in hand, while some percentage of boy-children complain loudly about the embarassment of it all. And then, just to complete the entire spectrum of roadtrip experiences, we hit slow-as-molasses construction upon entering Calgary just as the you-should-get-gas light appeared. Car food, hiking adventures gone awry, scenic drives, power anthems, construction and almost running out of gas: We’re ready. Indiana is ready for you! But this grandma might have to call the Consulate about the world-wide hold up.